Although the popular Guitar Hero console game is already pretty cool, instructables member oswaldonfire has stayed true to his name by modifying his Guitar Hero game so that a set of flamethrowers is triggered with each in game button press. The result is nothing short of spectacular! 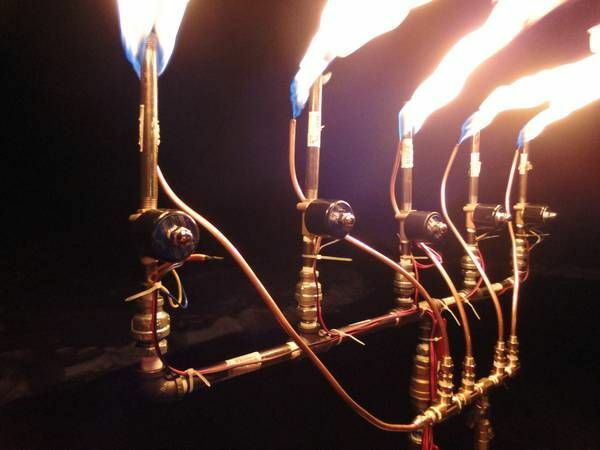 The project is entirely controlled by an Arduino Uno and a number of relays which trigger the flamethrowers. If you want to find out more about how you can build this awesome project yourself checkout the following link or the video of the setup in action!